Angela Anderson was born to craft! She comes from a family of crafters on both sides, generations back, so there was no escaping it! She does all the design and most of the sewing. Her new iSacha purse is storming the scene. It’s basic but tailored look lets the fabric take center stage. It’s designed for the iPad or other tablets but can be used for just about anything that you can stuff into it. She’s also working on wallets and holiday items for the etsyRAIN Handmade Holiday show. Her superpower? …she can FLY! Pick out your new iSacha at www.boodlebags.etsy.com. 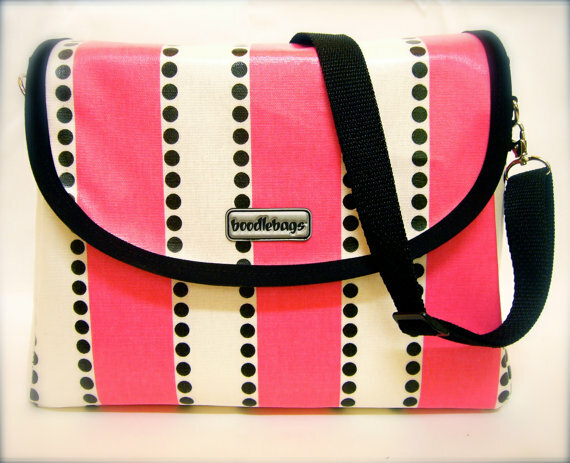 I love my Boodlebag - I use the big one as my Glass Elements show bag... so versatile!